We've taken a look inside Thomas Callahan's Horse workshop in Williamsburg before, and we know he's good at making beautiful bikes. 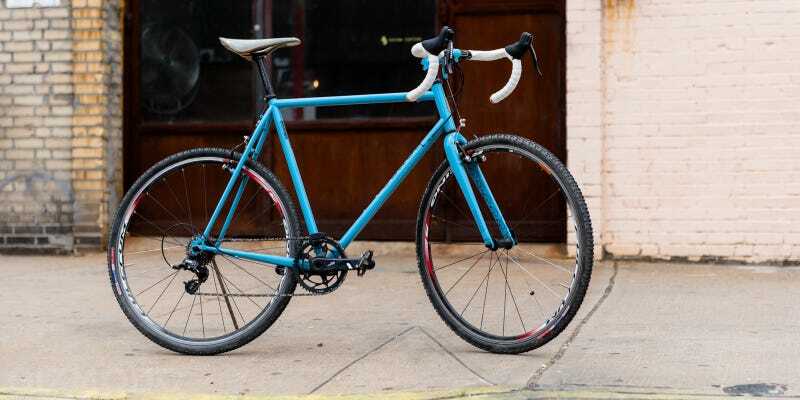 But with its second run of set-sized handmade bikes, Horse has outdone itself. Case in point: The Urban Assault 2014, a masterfully sculpted piece of steel. Destined to be a mean machine on and off the dirt track, Horse's version of a hybrid cross bike offers the unique aesthetic of a slimmer head tube—giving the bike a more classic look. Of course, being a handmade bike, the price is not cheap. The Assault will cost you $775 to deposit and $1550 total for the frame and carbon Enve fork. The rest of the components are up to you—though Thomas styled his personal Urban Assault with a certain unquestionable flair. Horse is selling SRAM Rival components as well, if you want to save yourself some time and buy everything at once.